The website leads you into believing that the system had originally been created by a 14-year old & that it’s so simple anybody can sign up & profit… But are any of these claims actually true? Or is the Broke Dishwasher a scam system that’s just out to part you with your cash instead? What Exactly Is The Broke Dishwasher System? But he claims that he met some 14-year old who handed him a 3-step system for making money online, and states that ever since then his life has changed for the better as he now allegedly earns hundreds of thousands of dollars online. And do you know what? I don’t doubt that, I believe he does make that kind of money – but I think he’s lying about the system… Instead I think Teo Vee earns his huge online income at the expense of others by suckering them into hyped up, expensive programs. I know that sounds like an extremely bold claim, but Teo Vee is behind a program called My Ecom Club (which costs thousands & has received a LOT of complaints) & he often creates random websites tricking people into buying it… Just like the Broke Dishwasher website. So if you happen to hand over your cash to buy into the so-called 3-step Broke Dishwasher system then you’ll be left to find out that what you’ve actually bought into is something called My Ecom Club… And that the $97 is just the entry fee. From there to proceed with the program you’ll be required to pay a LOT more (multiple thousands) and even after spending all of that money there’s still only a very slim chance that you’ll find yourself generating any sort of profits. 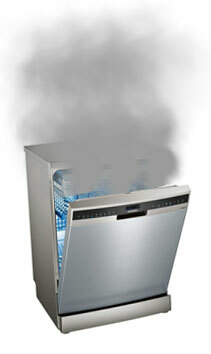 How Does The Broke Dishwasher System Work? Well like I mentioned in the previous section of this review the Broke Dishwasher system isn’t actually a system at all, instead it’s just a doorway website which has been setup to trick you into buying Teo Vee’s My Ecom Club program. Instead what you’d discover is that the whole thing actually revolves around a pretty complex process called dropshipping. This involves you sourcing products & selling them via sites like Amazon… But rather than holding stock you list the products for sale & then have the supplier ship them directly to the customer. I’ll admit that it is possible to make money with dropshipping, and some people do actually make good money from it – but it is nowhere near as easy as it seems, and I can safely say that most people who try it will lose money… Not make it. 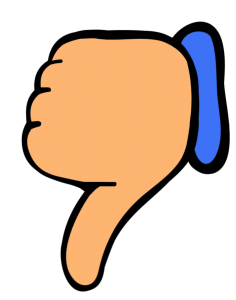 There are several reasons for that – but mainly it is because of suppliers delivering orders late, running out of stock, or customers wanting refunds & then leaving you out pocket. Also it is because people see the easy side (buying/selling products) but do not reason how difficult it is to actually market the products. However there is simply a much better, much easier way to make money – which is to forget about dropshipping & just promote other people’s products as an affiliate instead. By doing this you don’t have to mess around with buying, selling or shipping – all you need to do is connect people with existing products/services & the companies will pay you nice big commissions in return. The other added benefit is that you can get started with affiliate marketing for free over at Wealthy Affiliate. In my opinion affiliate marketing is hands-down the best option for making a good income online & I can also tell you that it’s the exact same way that I personally generate most of my own income online too. When I first came across the My Ecom Club website it was stated that it had been built by somebody called Rocky Lin – yet after doing some digging I found that this name was associated with the My Secret Sites scam. And then finally after doing even more digging I was able to find out that the creator’s real name (according to his Udemy profile) is actually Teo Vanyo – and Teo Vee is just an alias he’s using. So why is he so desperate to hide his real name from this program? In my opinion there is often only one reason for that & I am sure you can assume what it is. Advertised at just $97 the whole thing doesn’t seem all that expensive and as a result you may be willing to just “try it out” – but I can tell you that the true cost of My Ecom Club is FAR from $97. Furthermore the FTC do not condone this type of model & they recently shut down 2 other companies named Digital Altitude & MOBE down because they were operating a similar structure that pushed people through tiered level of memberships & tricked them into spending more & more. 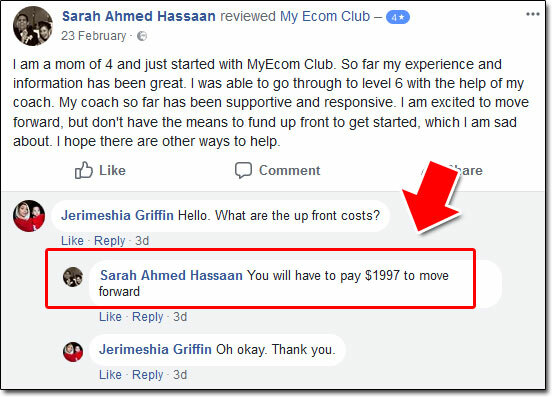 So if you actually pursued the My Ecom Club program then you could find yourself spending thousands of dollars on something which could ultimately just be closed down by the FTC at any moment. Honestly there are so many complaints regarding the My Ecom Club program it’s unreal. People complaining about not being satisfied, about being charged too much & primarily about the lack of refunds. 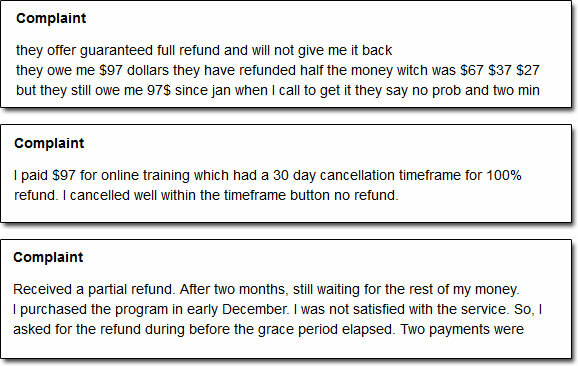 If the program was as really as simple as Teo Vee claims out then I’m sure these people wouldn’t be wanting to get their money back… Instead it’s quite clear that they’ve got inside, realized it isn’t what they were sold & decided they want their money back. My Verdict – Is The Broke Dishwasher System a Scam? In my opinion yes it is a scam – and the reason I say that is because as far as I’m concerned the whole thing is extremely misleading & they’re basically just tricking you into handing over your cash then providing you with something totally different from what you were promised. I mean the website in my opinion makes out like you’ll be getting access to a “3-step system” that’ll be able to generate you online riches with next to no work at all aside from initially setting it up. You’re basically led to believe that you can just “plug in and profit” but that’s far from the truth… Instead the only person profiting from it all is the creator Teo Vee & he’s doing that at your expense & the expense of others. So with all that being said I am going to be advising that you steer well clear of the Broke Dishwasher system & the My Ecom Club program as it’s extremely unlikely that you’ll find yourself making money with them & instead you’ll be much more likely to just find yourself losing it. If you really want to legitimately make money online then like I mentioned earlier in this review you should just stick with a proven program like Wealthy Affiliate as it’s there that you’ll get everything you need to truly find success. Or alternatively you should just opt to pick a legitimate method from my top picks page here. Instant Payday Tricks Review – New Work From Home Scam or Legitimate System? Lottery Winner University Review – Is It a Scam? Is The Crypto Revolution System a Scam? Read My Review Before You Join!